MLS# 219004394 - 42 Vince Street, Ventura, CA 93001 - Pat & David Fogg | David Fogg Real Estate, Inc. Courtesy of Keller Williams West Ventura County, Sean Patrick O’Toole. 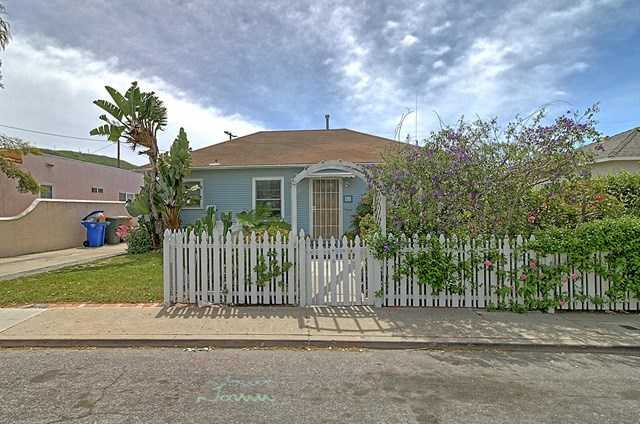 Updated 2bed 1bath home (864sqft per assessor) and permitted Studio unit (288sqft per permit) on the west end of Ventura. This home has a ton of character and is on a nice sized lot. The main house has wood floors and deck off one bedroom. The kitchen has newer cabinets and tile countertops. The backyard is great for entertaining. Ventura Ave area enjoys some of the best weather in Ventura. Near a great bike bath that goes from the Beach to Ojai. Convenient freeway access and shopping nearby. Please, send me more information on this property: MLS# 219004394 – $549,000 – 42 Vince Street, Ventura, CA 93001. I would like to schedule a showing appointment for this property: MLS# 219004394 – $549,000 – 42 Vince Street, Ventura, CA 93001.